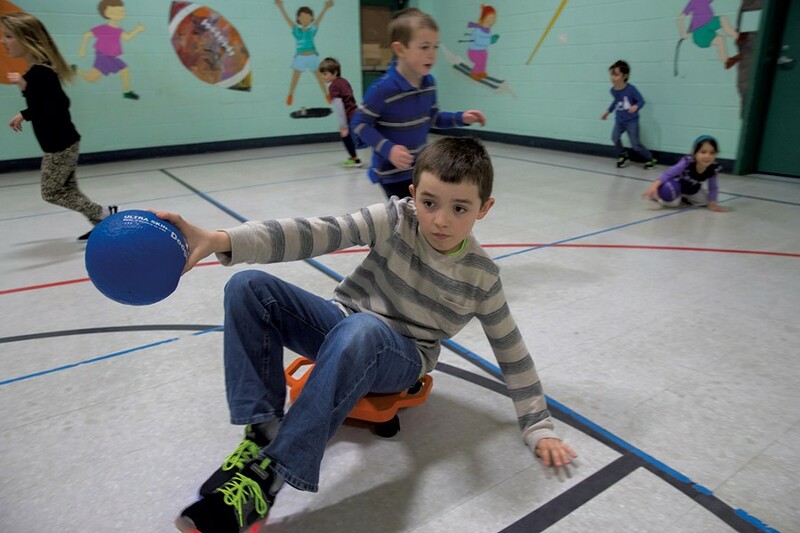 Game Changer: Richmond Elementary's PE Program Focuses on Accessibility, Lifelong Fitness and Fun | Features | Kids VT - small people, big ideas! If elementary school physical education conjures memories of being pegged by a dodgeball, huffing and puffing through timed miles, or climbing a rope dangling from the rafters, Richmond Elementary School's gym classes will probably be unrecognizable. In PE class at the pre-K through fourth grade school, students ride bikes, dance, golf, play tennis, rollerblade, practice circus arts and speed-stack cups. Every student learns to ski or snowboard. And it all happens during the school day, at no extra cost to families. The focus is on building skills, instilling confidence, having fun and giving kids access to activities they'll be able to do throughout their lives. Richmond's program is the brainchild of 37-year-old instructor, Brian Godfrey. In the five years he's been at its helm, he's made PE classes something kids and parents rave about. His innovative approach — which relies on a committed and uniquely large network of parent volunteers and community partners — has earned him numerous awards and accolades. 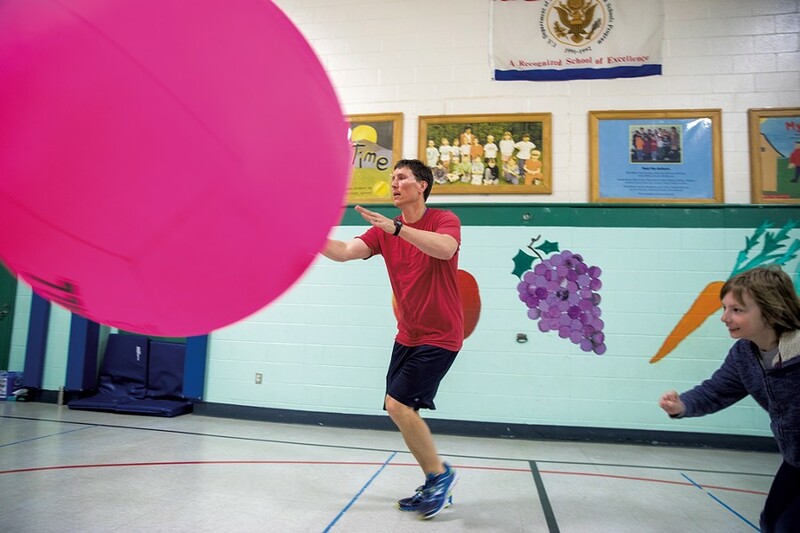 An ideal PE teacher, says Richmond Elementary School principal Ben White, is "someone bringing new, novel and unique ideas that connect across curricula and across grade levels ... Brian does all that." The shift in emphasis to lifelong fitness is part of what Principal White calls "the new PE." It signifies a systemic move away from activities that pitted kids against each other. "When your kid comes home and is telling you what they did in PE, you do a double take," White said. The new PE philosophy has been gaining traction for some time. In 2000, an article in Educational Leadership summed it up: "Well-prepared teachers know how to create developmentally appropriate programs that emphasize individual skill and fitness concept learning" while maximizing kids' time being active, and moving away from team sports. Last year, SHAPE America, the Society of Health and Physical Educators, issued a position statement titled "Dodgeball Is Not an Appropriate Physical Education Activity," asserting that the combative game doesn't promote a positive culture and actually undermines the goal of PE, which is to get kids to enjoy activity. SHAPE America also designed the national PE standards and grade-level outcomes Vermont adopted in 2015. According to the state Agency of Education, the new PE standards give teachers current best practices to design instruction and assessment, plus "this move enables use of directly aligned, nationally developed tools for assessment and curriculum evaluation with the goal of developing student physical literacy." SHAPE's five standards for physical literacy include competence in several motor skills and movement patterns, applied knowledge related to movement, knowledge and skills to use activity to improve health, respectful behavior, and recognizing "the value of physical activity for enjoyment, challenge, self-expression and/or social interaction." 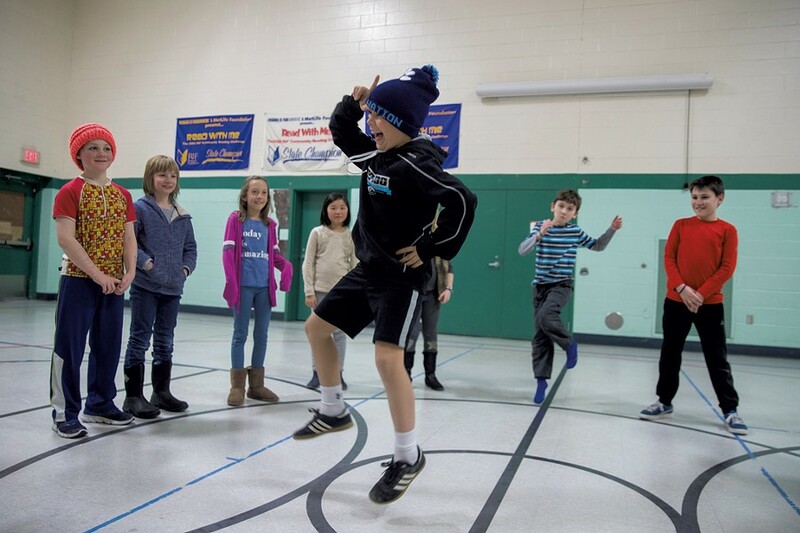 Richmond kids demonstrate their "physical literacy" in Snow Motion, a skiing and snowboarding program, that's perhaps Richmond's most celebrated PE initiative. The classroom is Cochran's Ski Area, where Olympic gold medalist Barbara Ann Cochran, has taught thousands of local kids to ski. During the Snow Motion season, a different grade is bussed to Cochran's each day of the week. Kids put on their ski boots at school and, when they arrive at Cochran's, volunteers arrange their skis on the snow. Kids get off the bus, click into their bindings and hit the slopes. The whole process takes just five minutes. Because skiing and riding require individualized instruction, Godfrey enlists the help of Cochran's teachers and parent volunteers, and senses when he needs to give certain kids extra attention. "One little girl was interested in skiing, but petrified of riding up the [T-bar] lift," he recalled. "I rode up with her a couple of times, and she said, 'OK, Mr. G, now I'm good.'" The program began in 2013, with fourth graders only. Godfrey added a grade each year; this school year marks the first time the entire elementary school is participating, along with kindergarten classes from the five other elementary schools in the Chittenden East Supervisory Union. Godfrey and his fellow Chittenden East elementary PE teachers, Amanda Cowan and Glenn Steinman, plan to add a grade a year at the other schools so that every elementary school kid in the district has the chance to get on the slopes. Cochran herself is a fan of the program. "It's been phenomenal," she said. "Some of these kids would never have had a chance to ski or board." In fact, Godfrey said that before Snow Motion started, half of Richmond kids had never been skiing or snowboarding. Now, 75 percent have their own equipment. Kids who don't can check out gear from the school any time they want to ski or ride. It's important to do this during school, he explained, because if access to sports like skiing or snowboarding is limited to extracurricular activities, "it's the same kids who aren't going to participate." By making it easy for families — giving kids gear, transportation and a casual learning environment during the school day — "you're facilitating opportunity," he said, allowing young kids to build independence as well as skills. That's true for biking as well, he said, which also happens during PE class in the spring. For that unit, the school cordons off the bus loop, and kids practice skills at stations staffed by parent volunteers. Godfrey worked with Joe Drennan, co-owner of Earl's Cyclery & Fitness in South Burlington, and Richmond parent Amanda Repp to purchase bikes for the school. "Riding a bike is fun, plain and simple. If it can be integrated into a PE program, all the better," Drennan said. 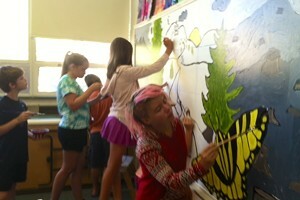 "The more [kids] are exposed to, the more they try, they find things they're passionate about. They won't know it until they have the opportunity." Godfrey's self-sustaining funding models eliminate the cost barrier. He runs a couple of annual fundraisers, including Richmond's annual Big Truck Day and a popular Circus Night, in which kids learn and present circus arts alongside Troy Wunderle, artistic director of Circus Smirkus. Most of the money, however, comes from camps focused on activities like mountain biking and kayaking that Godfrey runs during school breaks and summer vacations, as well as after-school activities and clubs he offers throughout the school year, like swimming and ice skating. Staffed by volunteers and covered by school transportation and insurance, these opportunities are inexpensive compared to fully private options. But the income from tuition allows Godfrey to purchase gear for all of his programs, as well as provide scholarships for those same clubs and camps. Godfrey's also not shy about approaching potential partners for supplies and access to their facilities. "We all share a common interest in getting kids to be active," he explained. Killington Resort and Bolton Valley have sold him skis on the cheap from their rental fleets. The Swimming Hole in Stowe provided inexpensive swim lessons for an after-school club. Jay Peak offered discounted access to its water park. Burton Snowboards donated helmets for every kid at RES. Jeff Boliba, a Williston father of three, coach and vice president of global resorts for Burton, is one of Godfrey's partners. Boliba understands the value of introducing snowboarding incrementally, so that kids learn the fundamentals in an enjoyable and low-stakes environment before they're ever buckled into a board in below-freezing temps. Several years ago, his son arranged an indoor program to introduce younger kids to snowboarding for his eighth- grade challenge at Williston Central School. Boliba was so inspired by the project, he began thinking of ways to adapt the program so that any PE teacher could implement it. He posted his idea on Burton's blog, Godfrey got in touch, and the men hit it off. "I'm stoked on him because I can see he knows how to engage the kids," Boliba said. Godfrey and Boliba cowrote a PE snowboarding curriculum, and Burton provided kits, which include curved "spooner" boards to teach balance; a "grab game" mat that helps kids practice tricks; and "riglet" boards, snowboards with protective covers that allow kids to tow each other around the gym with a rope. Godfrey lends the kits to other schools when Richmond isn't using them. Said Boliba: "This is one of the most powerful sports development programs I've ever been involved with." What surprises parents who grew up with gym classes of yore is that Godfrey has very little interest in competition. 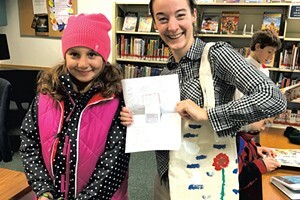 "It's so not old- school," said Chantal Ryan, whose fourth-grade son, Finn, participates in biking camp and swimming club; her sixth grader, Grace, still helps out with fundraisers, despite having moved on to middle school. While her son is good at sports, she said, he's not competitive himself, and at Richmond, that's just fine. Godfrey's athletic background belies his more collaborative approach. A Richmond native, Godfrey was a multisport athlete as a kid. He thrived on team sports and played basketball during his undergraduate years at Johnson State College. Tall and fit, with alert blue eyes and sharp cheekbones, Godfrey comes across as the kind of ex-athlete who might be on the sidelines reminding kids to hustle. But he's not. How did the father of three young kids, who's known around town as Mr. G, develop his unique style of instruction? When Godfrey began teaching after attending graduate school at the University of Vermont, he quickly noticed that, though team sports afford kids benefits like cooperation skills and camaraderie, they also create unintentional barriers. He worked at a school for kids with special needs, an experience which made him "look at PE a little differently," he explained. "How do you adapt the curriculum you're teaching to meet all kids' needs?" As accessibility became more important to him, he also noticed that kids with greater financial resources discovered team sports far earlier than kids without. The 3-year-old who starts playing team soccer has a vast advantage over the 6-year-old who tries it in gym class for the first time, he pointed out. "As I became a teacher, I started thinking about those kids." Then, he said, "I looked at myself as a learner." As a kid with learning disabilities, he explained, he was familiar with feeling like parts of the school experience weren't designed to include him. He set out to provide what he calls "positive first experiences" in sports and fitness for everybody, focusing on activities that kids will be able to do through adulthood. His ability to make kids feel included is something Richmond parent Maria Brown noticed right away. Her son, Hudson, started kindergarten at Richmond Elementary in 2015 after going through childcare and preschool in a different town. "Breaking into the community was a little bit harder for us," she remembered. When she picked up her son after his first day of school, she observed Godfrey checking in with him by name. "He's basically the parent of 300 kids, and he knew my kid from the first day," she said. "That was awesome." Godfrey has an ulterior motive for operating programs the way he does, and he doesn't mind sharing it. "I look at this as a way to organize activities for my kids to participate in," he said cheerfully, pointing out that, like lots of families, his own would struggle to pay for private camps and extracurricular programs. He and his wife, Makenzie, who have been together since their teens, like to do sports and activities with their children, ages 7, 4 and 1. Frequently, Makenzie and the kids tag along with him for camps and after-school activities. "People ask, 'Why volunteer your summers?'" he said. "I get to be out here with my son." That benefit is extended to other families as well. Jess Whitaker, whose fourth-grade daughter, Lena, participated in after-school ice skating this year, volunteered with her preschool daughter, Anna, in tow. "She's not in school during that time, and she gets to go on the ice, too," Whitaker said. For her older daughter, she's noticed the program's social benefit. "It's a good community builder, because she's doing activities with kids she might not normally." And since Lena recently started playing hockey, Whitaker sees more positive reinforcement in having several women who are former high school hockey players volunteering on the ice. Though all of Godfrey's programs rely on volunteers, Maria Brown pointed out that Godfrey provides options for full-time working parents like her. "If I can't get out of work on a Tuesday to volunteer on the mountain, it doesn't make me feel like a crappy parent. There are other ways I can give back," she said, like helping out with evening fundraisers. "I want to make sure he feels supported." Godfrey isn't afraid to try new things to encourage his students to do the same, even if it means looking a little silly. A recent unit on rhythmic movement illustrated this. In March, Godfrey instructed kindergarteners and first graders to come up with class dances. "But I don't want to show you all the moves. I want you to invent some," he told them. "Make it something everyone can do. You might be able to do a split, but let's not choose that, because not everyone can do a split." In the kindergarten class, kids paired off. "How about skateboarding?" one shouted. "No, skiing!" said another as they tried to translate favorite activities into moves. They rehearsed while Godfrey cued up "I Like to Move It" by Reel 2 Real. Then they demonstrated moves like the Sparkletoes (jumping and twirling), the Sillybilly (similar to the Running Man) and the Soccer Dribble in front of classmates. In the first-grade class, the students and Godfrey performed a sequence of moves, and he wondered aloud how they should end the dance. One kid suggested jumping up like a star and saying Yay! Godfrey, well over 6 feet tall, and about a dozen students, all under 4 feet, sprung into the air, waved their arms and yelled joyfully. Light-up sneakers shimmered over the gym floor, and a kid with a missing front tooth spontaneously started break-dancing. "Each year I try to do something out of my comfort zone. Dancing is definitely that," Godfrey said in a conversation afterward. Another example: During a circus arts unit in the fall, Godfrey wanted to learn how to juggle, so he practiced in front of his classes. "They thought it was great, because I was terrible. But they watched me get better," he said. And just like Richmond kids can ski or snowboard and ride a bike, Godfrey can now juggle.